Imagine the logistical nightmare of losing most or all of your business’s data. A recent survey found that over 40% of businesses that experience a total loss of data never recover, and 90% of them go out of business within five years. Customer data, client information, projects in development for years, essential pieces to your success. Velocity Online makes sure this never happens to you and your business by way of cloud services, server colocation, and our offsite data center. The many ways Velocity Online helps backup and secure your data may sound like overkill, but the old saying “better safe than sorry” is especially true for your business’s data. If you don’t have servers of your own and would like to simply backup your data for protection, our cloud service is the way to go. If you’ve ever used Dropbox or Google Drive, think of a more secure version of those products made specifically with your business in mind. We make it as easy as possible to backup all of your important data using our local servers. Have a question or concern? Just give us a call and we’ll handle it ourselves, no third-party tech support involved! If you already have a backup with a dedicated IT team, Velocity Online is still the perfect choice for enhancing your workflow. Our colocation service allows you to store and operate your server from our secure location, equipped to keep everything online. This service is the best of both worlds: you have full control over your servers and let us worry about keeping the lights on and the doors locked tight. We are a Tier 3 data center, which means our multiple connections result in the highest available uptime! In today’s business world, data is essential. Losing it can be catastrophic, while keeping it backed up and secure is easy with the help of Velocity Online. Why wait? 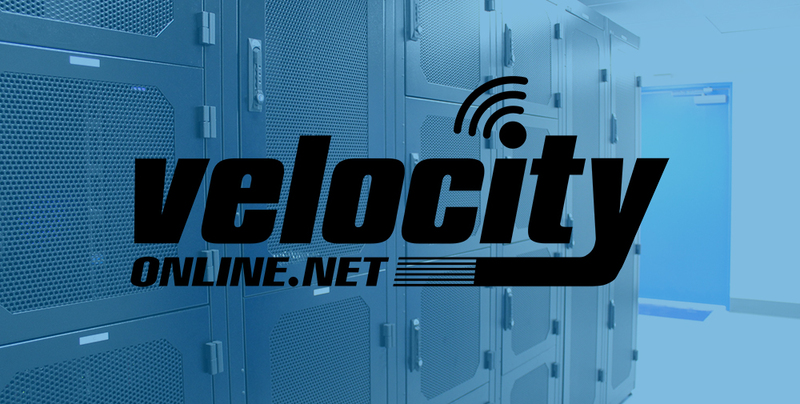 Call Velocity Online to speak to our knowledgeable staff about how we can keep you connected! Managing a hotel or apartment complex isn’t easy. There are repairs to be made, facilities to run and maintain, and your tenants have high expectations. Like water and electricity, internet is a must for you and your tenants. This is a necessary amenity but another thing to worry about, right next to plumbing and air conditioning. This is where the experts at Velocity Online come in. We provide the highest quality service and support, which means your whole apartment complex or hotel stays connected to high-speed internet. If a problem does arise, we’re prepared to help over the phone that day or send a technician on-site if that’s what it takes. All of this comes at no extra cost; you’re paying to stay connected, and we at Velocity Online respect you and your business. We know that downtime means lost revenue and unhappy clients. Whether it’s one hundred or one thousand people counting on our internet services, we can deliver. Let’s say you’re building an apartment complex for college students. Hundreds of young adults means lots of bandwidth needs at a high speed. Downtime or slow internet will no doubt be a headache for whoever is at the front desk, and eventually the complaints will reach you. While fixing a leak or installing a new security system the last thing you want to be dealing with is slow internet. Give velocityonline.net a call or contact us online to find out how we can make your, and your tenants lives easier. 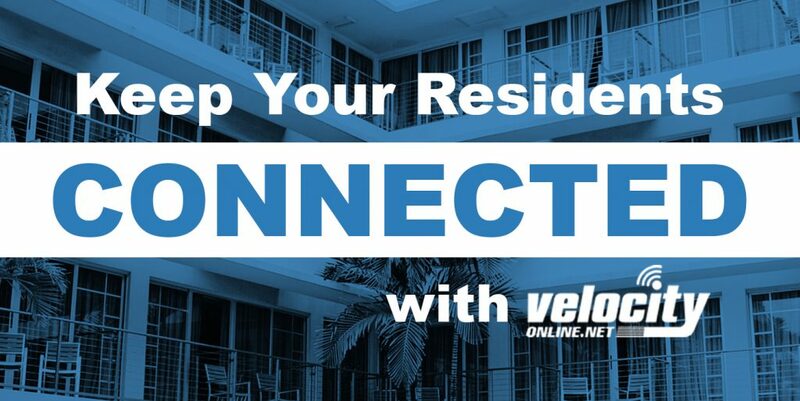 Avoid the headaches by staying connected with Velocity Online. Fall is upon us, and that crisp air we’ve been getting means Halloween is fast approaching! Once again Velocity Online is keeping things festive by sponsoring Keep Tallahassee Beautiful’s fundraising event: Shoot the Moon. On October 28th, Killearn Country Club will be home to spooky sand traps and haunted holes. Velocity Online is proud to be a sponsor for such an amazing cause, which has done so much for our community. Keep Tallahassee Beautiful is a non-profit organization dedicated to keeping the unique Tallahassee community as beautiful as it can be. The volunteer-based effort focuses on reducing litter and waste, as well as promoting recycling. They have reduced litter in Tallahassee and Leon County by 40%, and they are focused on making a difference on a global scale by acting on a local one. Shoot the Moon is one of many ways we can help Keep Tallahassee Beautiful going. Velocity Online is dedicated to giving back to the community, so we’re very excited to be a part of this event. If you’d like to register for the event, whether that be as a sponsor or participant, you can find the registration form here. We encourage everyone to join us on October 28th for Shoot the Moon at the Killearn Country Club, and show your support for a great cause! Utilizing a colocation center for your business has many advantages. When choosing a colocation center however, it’s important they deliver the full range of benefits associated with the service. A good colocation service should guarantee your data is always available. Anything less than a 100% uptime for your servers shouldn’t even be a consideration. When looking for the right data center. A colocation center utilizes multiple ISPs and WAN connections to create a stable network that remains operational through high network traffic or physical damage to the connections. Having an experienced staff is also important when updates and patches can cause network interruptions when done improperly. Traditional data centers are subject to power outages, which can ruin business. 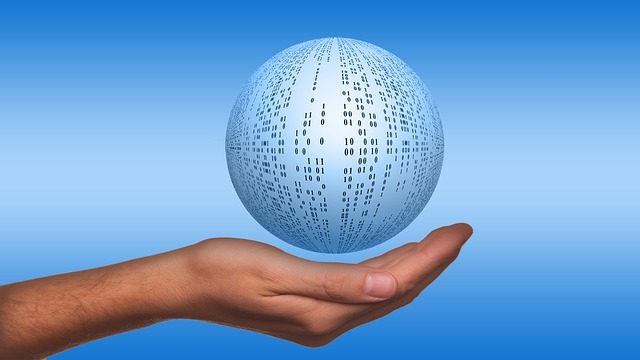 Internal IT may only function to prevent data corruption. A good colocation data center uses uninterruptible power supplies and backup generators to keep you online and protected. A generator for your business can be expensive and impractical, but they’re an included luxury with proper colocation services. Colocation centers are designed to keep your business running, which means many safeguards are put in place to avoid any damage to your data by way of fire, earthquake, or flooding. Data centers and internal server rooms waste a lot of energy. Valuable power could be dedicated to cooling systems and servers, but facilities not built with that in mind are incapable. Colocation centers optimize cooling and energy distribution. This means lower costs and longer operation for equipment. Preventing damage to your data is a monumental task that can take a lot of time and money. Colocation centers offer both physical and digital measures to protect servers. From surveillance cameras to steel cages enclosing servers, you want the highest level of security. Leaving your data in the right hands is extremely important, but employing an IT staff is expensive. When choosing your facility, ensure the staff is qualified to handle your specific requirements. Should your business switch to a VoIP Phone system? Have you actually called your own business to hear what your customers are hearing? Outdated land lines can cause static that decreases your customers experience with your business. Below are three reason why you should consider switching your business phone systems to VoIP. Before we go any further, lets define what VoIP is. A VoIP phone is a telephone set designed specifically for use in a voice over internet protocol ( VoIP ) system by converting standard telephone audio into a digital format that can be transmitted over the Internet, and by converting incoming digital phone signals from the Internet to standard telephone audio. 1. Configuration and Installation is a breeze! With VoIP systems, you don’t need someone to come into your office and run phone wiring throughout your entire facility. These systems are easy to install, even if you have a very limited technical background. You can be up and running quickly utilizing existing network wiring. Hosted PBX solutions make it inexpensive and easy to add new users whenever you need without having to invest in an expensive phone system to maintain and replace. Web portals make it easy for you to add, move or change your systems configuration very conveniently. Even though faxes are an “older” technology, many businesses still rely upon them. 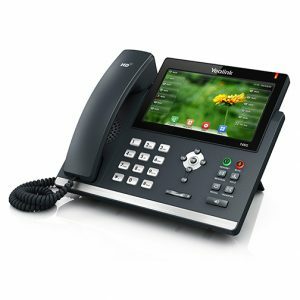 VoIP systems allow for this older technology to still be utilized, but instead of getting papers coming through a fax machine, documents can show up in your email box. 3. Switching your workplace around? No Problem. If you’re like a lot of folks, changing up the office is a normal thing. With hosted VoIP systems, your employees’ extensions can follow them wherever they go. Calls will simply be routed to anywhere in the world due to cloud-hosted VoIP phone system features. © 2019 Velocity Online. All rights reserved.